A close friend of ours, adventureer photographer and ultra-marathon runner, interviewed one of the most successful runners of all time - Mohamad Ahansal. He revealed that he simply crushed dates and almonds into a small ball and popped them into his backpack or pocket and off he went. "Keep it simple and keep it natural guys" were his words. And so the base of our energy balls was born, following this amazingly simple yet winning combination. 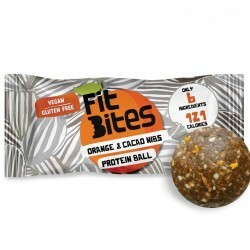 FitBites can be enjoyed before or after exercise or simply as a nutritional healthy snack.